In this town we call home, everyone hail to the pumpkin song! denv.her. & friends were invited to tour Denver's very first Pumpkin Nights & this festive pumpkin event was a V ghoul (aka good) time frens. 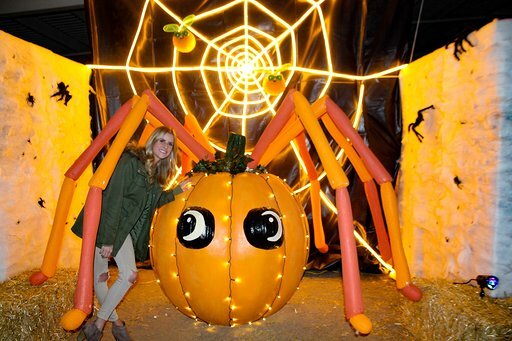 Taking place at the Adams County Fair and Regional Park Complex, Pumpkin Nights invites visitors to journey into the world of Pumpkin Nights with dazzling, multi-sensory Halloween displays and eight Pumpkin Lands - created with over 3,000 hand-carved pumpkins and funkins. 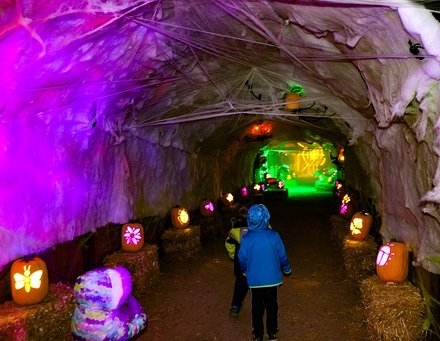 The outdoor, family friendly Halloween experience will be open daily from 5:30 p.m. to 10:30 p.m. until Sunday, November 4 (except for on Halloween). 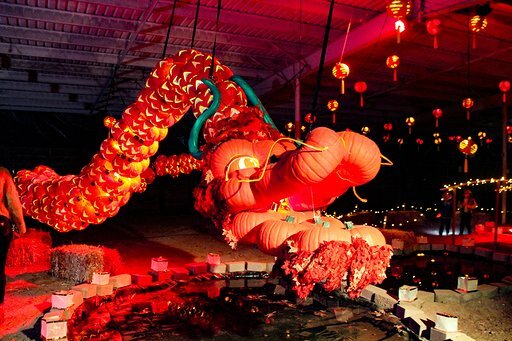 Denver's Pumpkin Nights boasts eight immersive Pumpkin Lands including: Pumpkin Pirate Cove, Maravilla Lane, Pumpkin Reef, Spider Alley, Forbidden Pumpkin City, Great Pumpkin Hall, Monster Mash & Pumpkin Passage. Pumpkin Passage was a tunnel of pumpkins bringing us to one of the largest pumpkins in the entire exhibit! Forbidden Pumpkin city was up next and brought us face to face with some cutie pumpkin turtles & a flying, smoke breathing, pumpkin dragon! Maravilla Lane was a Dia De Los Muertos pumpkin land filled with paper maravillas (marigolds) and papel picados which decorated numerous pumpkins carved like calacas (skeleton figures) and calaveras. At the end of this land is a beautiful ofrenda for photo ops! Pumpkin Reef was one of our favorite lands! 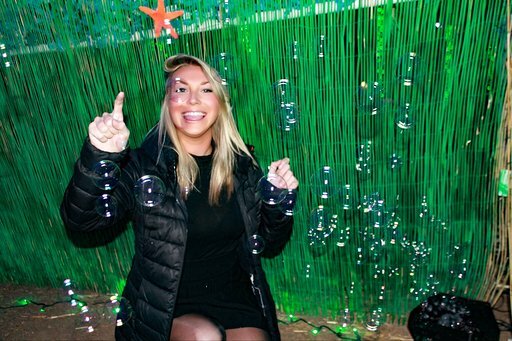 Bubbles floated around illuminated sea creature jack-o'-lanterns while denv.her. and friends danced through to Kokomo by the Beach Boys. #KeyLargo #Montego #babywhydon'twego. Spider Alley had us wandering through a spider web tunnel complete with massive pumpkin creepy crawlers looking for some #snacks. Good thing we had some full course meals to serve them. Great Pumpkin Hall, transported us to a Halloween Hogwarts where candle carvings floated above us and spells were written in the gourds. Great Pumpkin Hall didn’t let us leave without meeting Hedwig and friends - seriously what's a trip to Hogwarts without meeting some owls? WHOOOOOO may I ask are these pretty ladies?! We wandered into Monster Mash Land and were greeted by three massive monster see-saws. We all quickly reverted to about 6 years of age and were on these seesaws for a good 10 minutes, cry laughing (great Instagram boomerang opp my social media-ites)! In addition to the above captivating lands, visitors can explore Pumpkin Central to check some classic must-dos off their Fall bucket list. Pumpkin Central features a variety of tastes, treats & seasonal beverages. We're talking hot chocolate, kettle corn, foot long hot dogs (#mandatory), and spiked seasonal beverages such as apple cider with Fireball. #dontmindifwedo. & don’t forget to take some pics by the purdy fall flower wall! 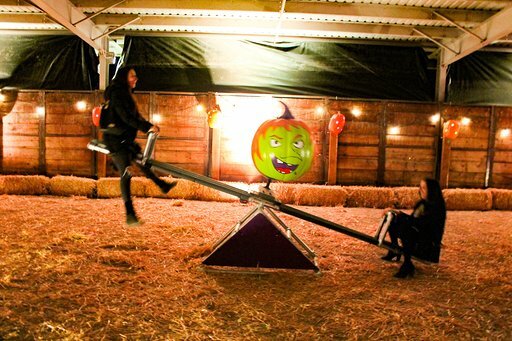 Other things to enjoy at Pumpkin Central? A screening of Pixar's movie Coco, a pumpkin patch, pumpkin painting & meet and greets with pumpkin artists carving giant pumpkins live. Pumpkin Central also hosts performers including fire dancers at the Spirit of Pumpkins Fire Show. Guys…this fire show...let's just say you aren't going to want to miss it lol lol. So now that you all are thoroughly in the sp00ky spirit for Halloween - go check Pumpkin Nights out and get your hocus pocus on! Huge thanks to Pumpkin Nights for hosting us & for such a fun night!